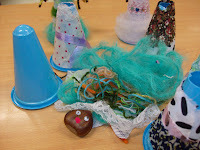 For Autumn it seemed appropriate to make something with chestnuts.We reused ice-cream cups we had washed and saved in the Summer. 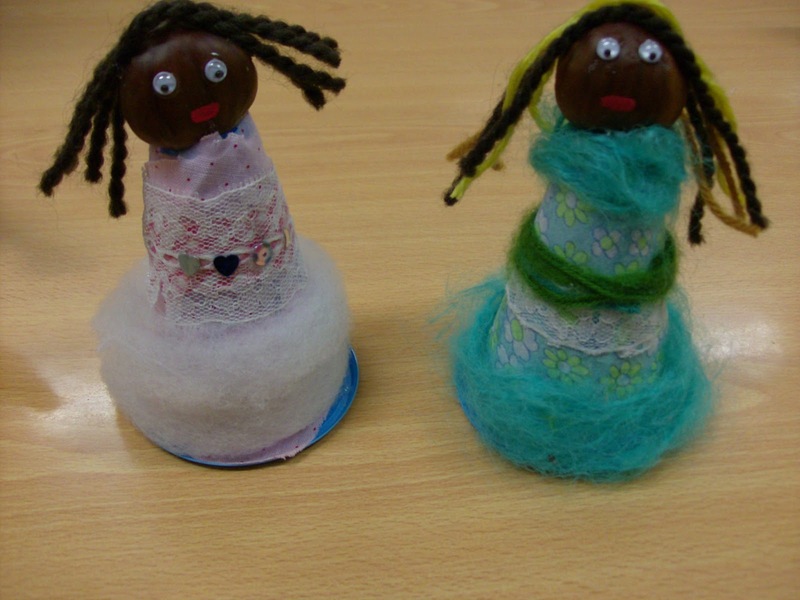 With fabric scarps we made up our chestnut dolls in very fashionable gowns! We painted on lips, added googly eyes and yarn hair. 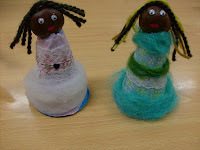 Some children made dolls of themselves!